Pakistan on Friday summoned the Indian Deputy High Commissioner and lodged a protest against India's allegation of its role in the brutal Pulwama terrorist attack. 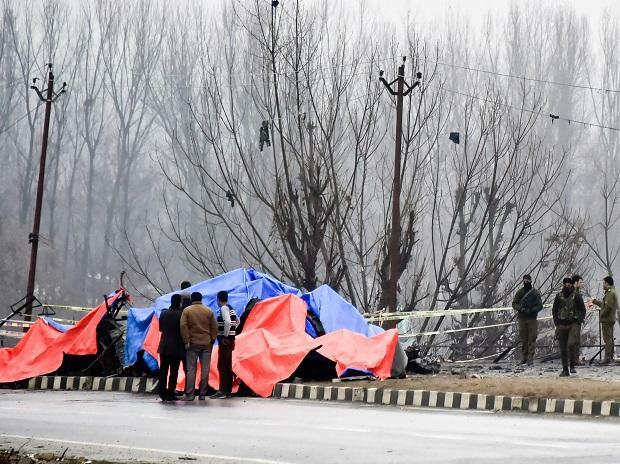 Pakistan-based terror group Jaish-e-Mohammad (JeM) has claimed responsibility for the terror attack in Jammu and Kashmir's Pulwama district on Thursday that left 40 CRPF soldiers dead and five critically wounded. The summoning of the Indian diplomat comes after India summoned Pakistan HC to India Sohail Mahmood and issued a very strong demarche over the killing of the CRPF soldiers. Pakistan must take "immediate and verifiable action" against the JeM and that it must immediately stop any groups or individuals associated with terrorism operating from its territories, Foreign Secretary Vijay Gokhale told the envoy. Though the Foreign Office has not issued any statement, sources said the FO summoned the Indian Deputy High Commissioner and rejected "baseless allegations made by India" against Pakistan on the Pulwama attack. A short video clip of the Indian diplomat leaving the Ministry of Foreign Affairs is also circulating in the social media. Following the Pulwama terror attack, India Friday withdrew the 'most-favoured nation' status to Pakistan, a move which would enable India to increase customs duty on goods coming from the neighbouring country. In a media briefing after the meeting of the Cabinet Committee on Security (CCS), Finance Minister Arun Jaitley said the most-favoured nation (MFN) status to Pakistan stands revoked. According to sources, Indian High Commissioner to Pakistan Ajay Bisaria has also been called to Delhi for consultations in the wake of the horrific attack. Meanwhile, Pakistan's information minister Fawad Chaudhry said in an interview that Pakistan would take action against anyone if India share evidence.